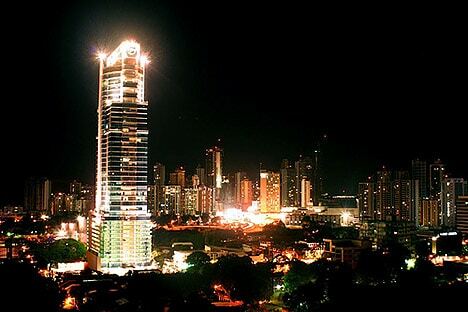 Jaymi over at EcoGeek posted an article about Panama’s “Operation Light Bulb” a few days ago. Panama is apparently buying and distributing about $13 Mil in compact fluorescent lamps among its citizens to ease demand strain on the power grid. Panama found it cheaper to distribute cheaper sources rather than build more power stations and generating facilities. Apparently this is a so-so move, because CFL’s aren’t really cheaper than everyone thinks. I mean, nothing’s perfect – CFL’s have their own issues, like everything else. Ever purchased a cheap CFL? They look like cold-fluorescent crap. There exists the mercury issue. Places like Ikea and Home Depot are recycling CFL’s, but in a place like Panama, where the alternative is rolling blackouts and power grid shortages, what’s the real solution? I got nothing. Let’s hope that someone figures out the world’s power problem sooner than later. Next articleIGNITE DENVER IS TOMORROW!